Pool Filters are the most important piece of pool equipment that you have. 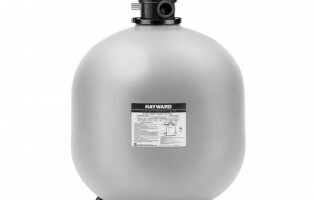 Sand Filter Manufactures, like Hayward, recommend you change the sand every 3 to 5 years. When filters experience heavy bather loads and have a good amount of leaves and debris in the pool, then you should expect to change the sand in your filter a lot sooner than that. Follow these 5 Easy Steps in order to get the most life out of your pool motor, sand filter and have crystal clear pool water. 1. Check to be sure that you have the correct amount of sand in your filter. 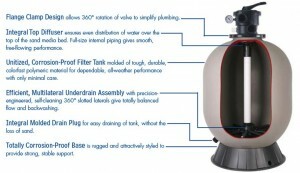 There are many different brands and sized Sand filters on the market today. 3 to 5 years. This really depends on bather load and the amount of debris around your pool. When your filter pressure is not where it normally is then there could be a problem with your filter or the sand media needs to be changed. 3. Use a Filter Treatment twice a year. 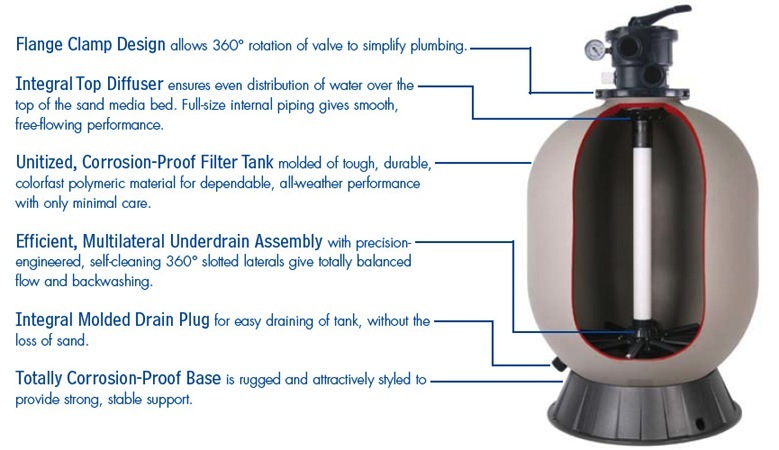 When you first open your pool use the filter treatment to help loosen particles and debris. and right before you close down your pool for the winter. There are all kinds of sand filter cleaners on the market today, I will touch on this subject in another article. 4. Sunscreen is really harsh on pool equipment and so are dogs. I know you love your dog but keep them out of the pool. Their fur gets past the pump basket and into the filter, causing your filter to not be as efficient as it should thus causing more stress on your pool pump motor. 5. Keep pool area trimmed back so that leaves sticks and straw do not constantly blow into the pool. If you have landscaping inside the pool fence try to keep it cut back as best you can. Not allowing a lot of debris to fall into your pool will really help you get the most out of your sand filter. Using these 5 Easy steps, you will extend the life of your pool filter and in turn extend the life of your pool motor saving you money, time and frustration. Owning a pool is supposed to be fun with your family and friends. When your equipment is not working correctly your oasis in your back yard can become more of a hassle and take the enjoyment out of owning a pool. Every thing mechanical in your house should be checked on to be sure it is in the proper working order. Your pool equipment is no exception. By following these steps you will be sure that your pool filter is in proper working order and that your pool will run all summer and not give you any trouble. The whole idea is Fun in the Sun! 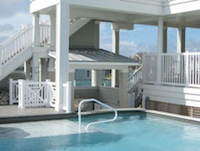 Barefoot Pool Service is here to make your pool and spa experience easy and trouble free. Contact chris@barefootpoolservice.com for a free equipment check-up. Contact Us Today and start Saving money on your pool service and repair bills.